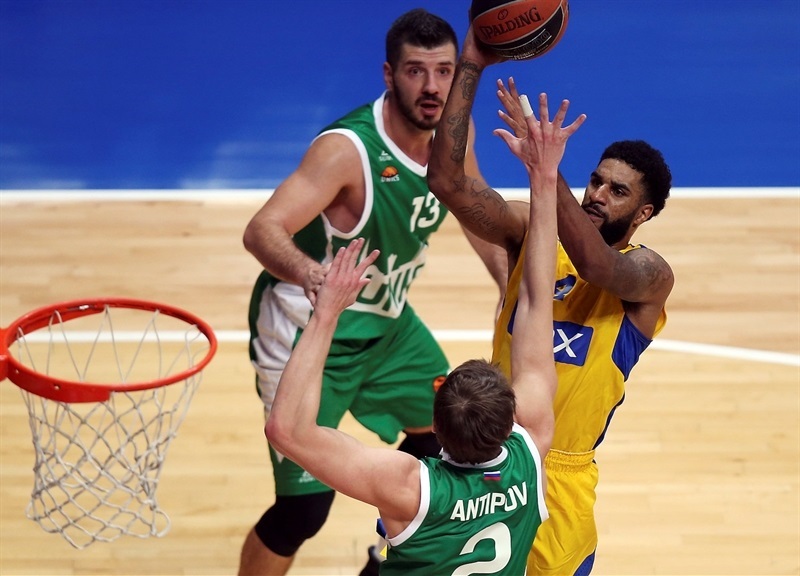 Maccabi FOX Tel Aviv held on for a tough 73-74 road win at Unics Kazan’s Basket Hall on Thursday. 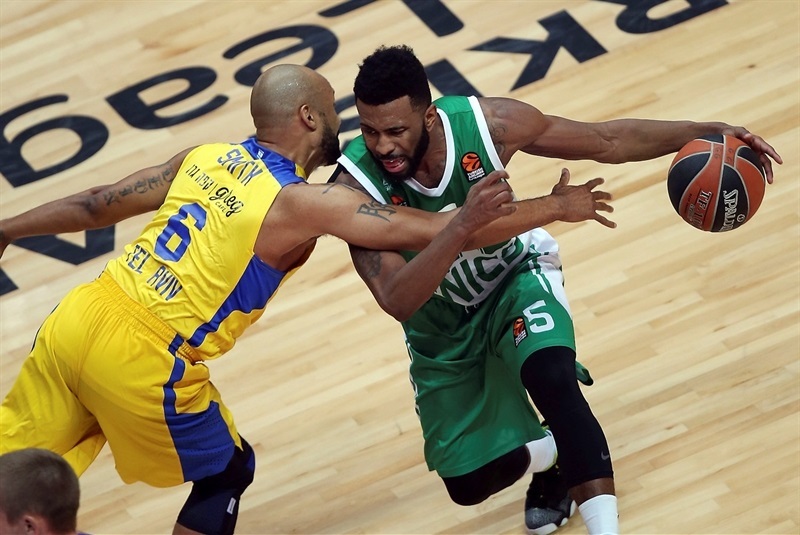 The win lifted Maccabi to 4-4, while Kazan fell to 2-6. 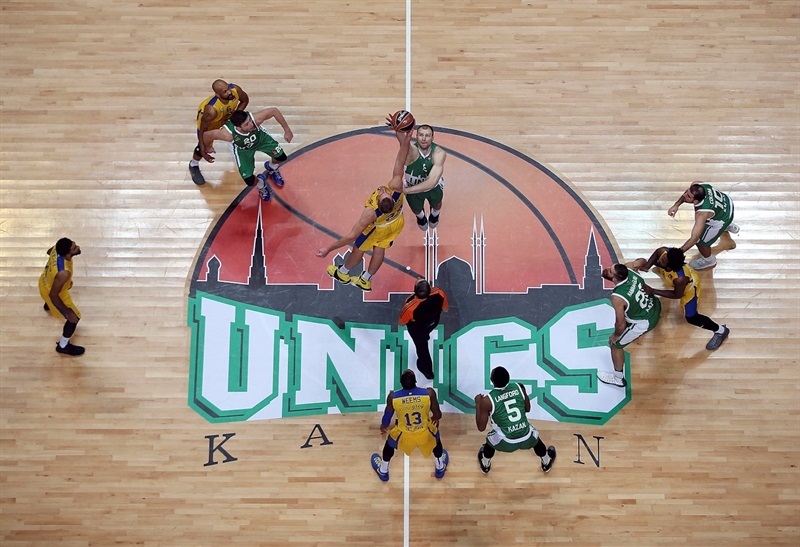 The visitors led by as many as 13 in the first quarter, but Unics came back and led by 4 in the fourth. 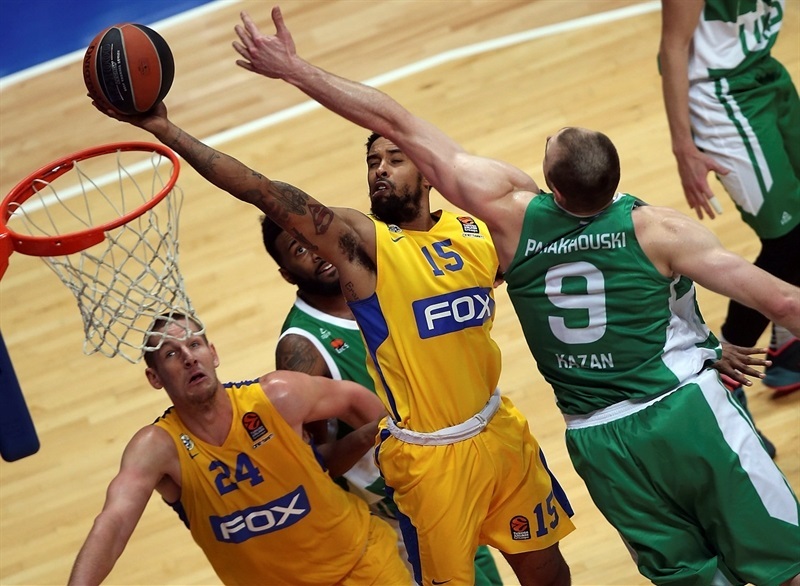 A pair of late buckets by Sonny Weems and key block by Devin Smith carried Maccabi to victory. Smith finsihed with 16 points and 6 rebounds, Colten Iverson posted 12 and 6 and D.J. Seely tallied 11 points and 6 assists for the winners. 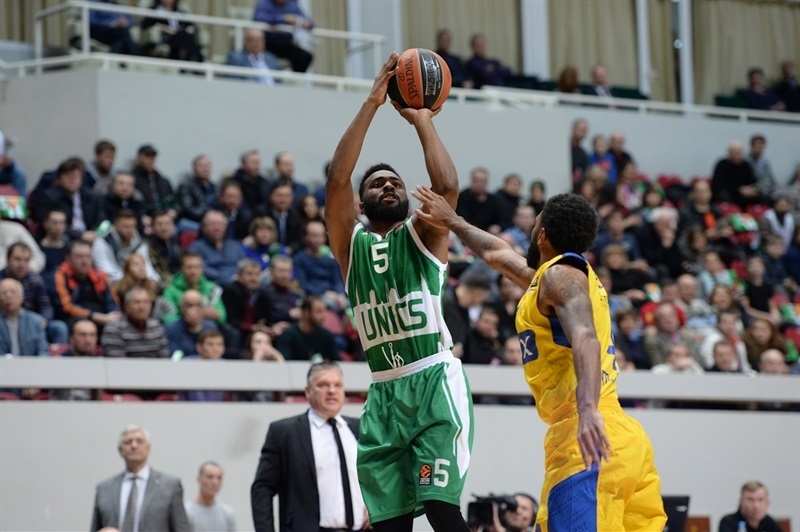 Keith Langford scored 22, Pavel Antipov added 12 and Marko Banic for Unics. 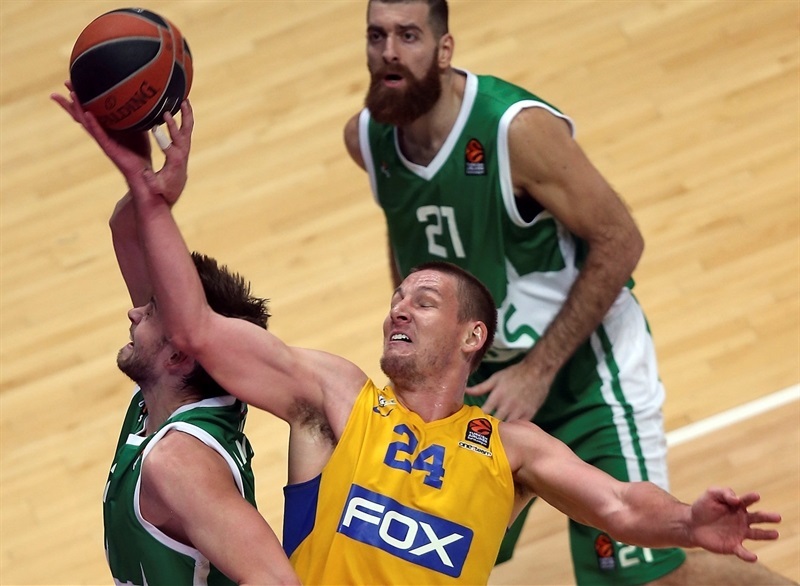 Maccabi got baskets from all five starters in racing out to a 5-14 start. Latavious Williams came off the bench for a three-point play to ignite the hosts, but open threes by Victor Rudd and Smith gave the visitors a double-digit lead. 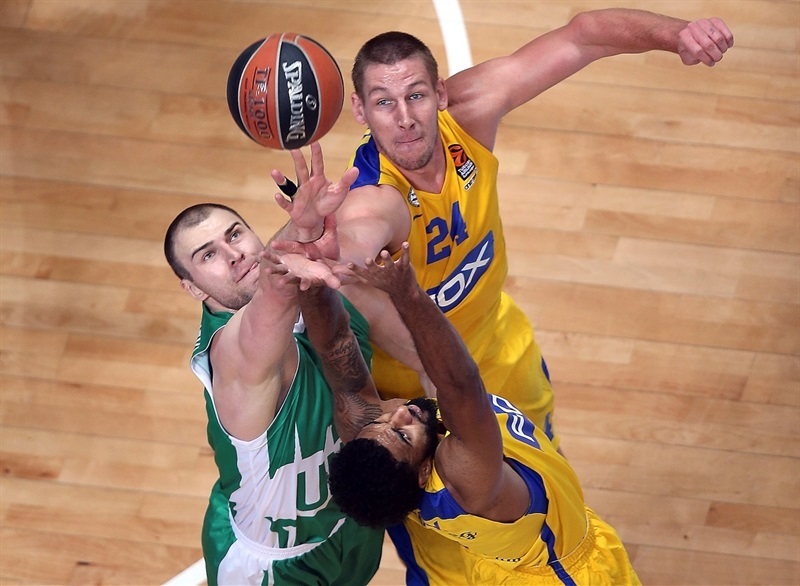 Maccabi doubled Unics up when a Guy Pnini layup made it 12-25 late in the opening quarter. Langford got on the scoreboard with a clever play to draw a foul and sink free throws at the end of the quarter to close the gap to 17-25. Unics kept its momentum and Banic’s spin move, layup and foul capped an 11-0 Unics run that drew the home side within 2. Langford completed the comeback with a three-pointer that made it 35-35. Maccabi responded with a 0-6 spurt, but a Kostas Kaimakoglou three on the buzzer made it 38-41 at halftime. 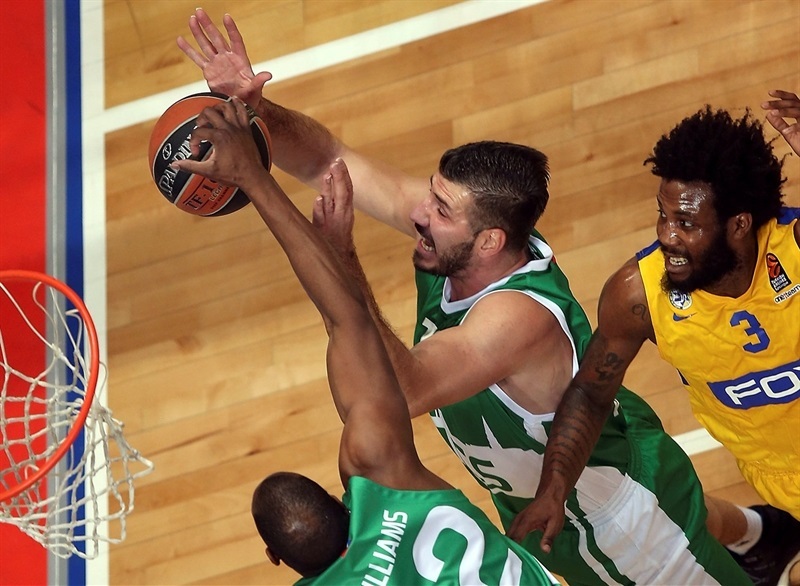 The visitors maintained a slim lead throughout the third quarter, but Unics was never far behind and got to 54-55 on Kaimakoglou’s second three-pointer. Maccabi made a push to 54-61 at the end of the quarter. Langford led a 9-2 Unics charge at the onset of the fourth quarter to even the score at 63-63. 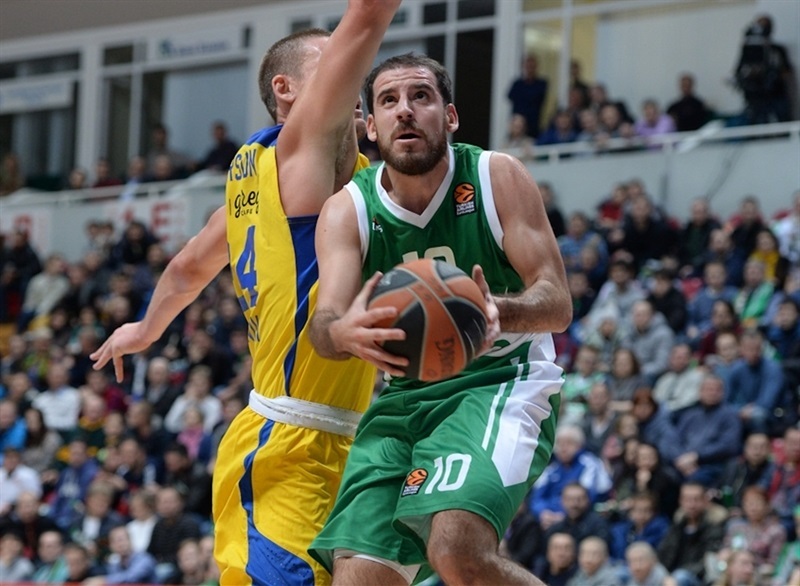 Evgeny Voronov’s jumper gave Unics the lead and kept the run going. Antipov capped the run at 13-2 before Seely and Yogev answered with crucial triples to put the visitors back ahead. 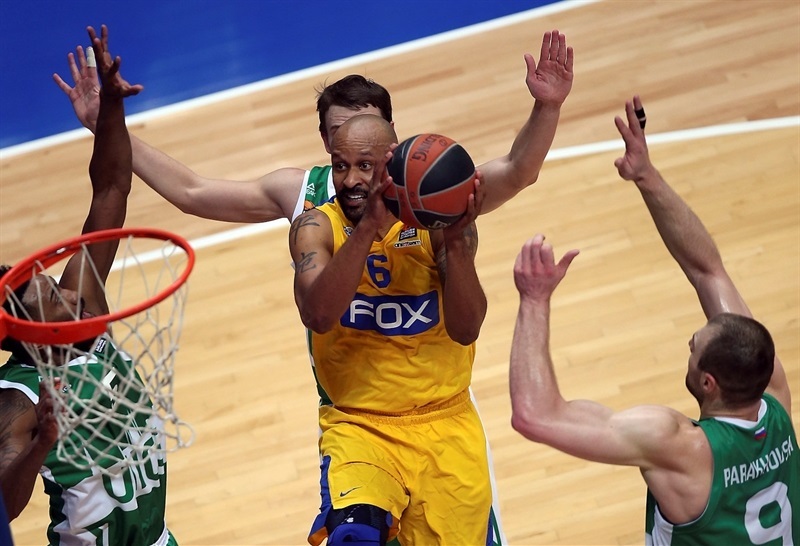 Weems scored a pair of key buckets down the stretch to help Maccabi keep a 69-73 edge in the final minute and Smith’s high-flying block of Langford at the rim helped preserve the victory. 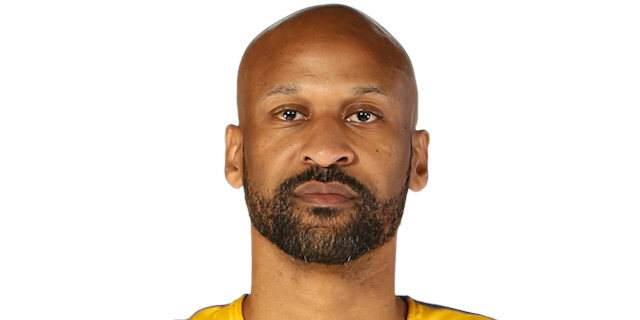 "It was a tough game for us. We were planning to play good defense, but from the first quarter we were not able to. We let them get the lead by 10 points; we had a really bad first quarter. We let them score 26 points and not only that, but shots were wide open with no reaction. After that we tried a big lineup and we started to switch everything. We started to play good defense and today we showed much better defense that for instance in Istanbul. But with that big lineup, it is tough to play offensively, because some guys are not playing in their position and they are not ball handlers. Our decision was to be focused more on defense and when this happened, we made some turnovers on offense, but not so many, but we took this risk to stop them defensively. 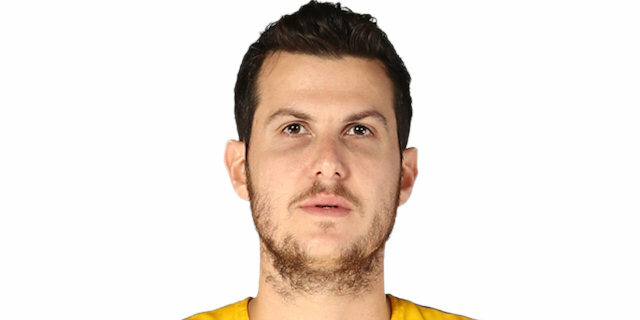 We were able to do this and like Marko [Banic] said, the game was decided when Weems drove from the weak side for a layup and by free throws. Even free throws, I told them, ‘let them shoot the ball, because under the pressure it’s not easy to shoot the ball, but not fouls.’ Because free throws are easy to score. And for us the opposite. Two times we missed free throws and we missed on defense. And that cost us the game. " 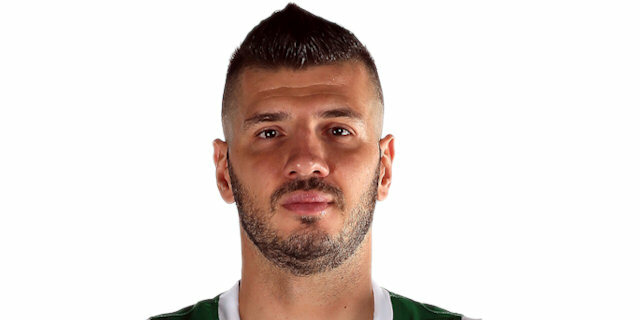 "I think we achieved here a very important win against a very good team. We struggled today on offense, we didn’t play so well, but I think we did a very good defensive job, especially at the end and made it difficult for Keith Langford to get hold of the ball. Out of that, I think the guys played hard and the spirit of Maccabi Tel Aviv prevailed at the end. " "Congratulations to Maccabi. I think today they were the better team and they controlled the game from the first moment. We didn’t have the start that we planned, but we had a great reaction on defense. We knew that they had an impressive lineup that we needed to focus on. We did that, we fought, we showed our pride. In the end some maybe defensive mistakes and shots we did not make decided the game. We cannot cry, we must continue to work. Sometimes basketball takes from you and sometimes it gives back. " "We are very happy to win this game. It was really important for us. Kazan is a really good team; it’s a tough place to play. We came, played our defense and did our job. Unics is a really good team offensively and defensively and in the second half they got into their rhythm, their shooters did their job. In the end we made the big shots… Everybody knows Keith [Langford] is a great player. No one can stop him alone. It’s a team effort. We did a good job. He was tired in the end and that was our plan. " "I think we did a really good job limiting what they do well. We tried to take the ball out of Keith [Langford]’s hands. I think we did a good job rebounding the ball and defensively and I think that carried us in the second half because we played so well in the first half. It’s just about effort. In the last two games, our effort has increased a lot. We’re battling. All these teams are great teams, so to come here and get a win is great. "